Aaron Love learned to play the drums from his father, Aaron Love Sr. when he was 9 years old. He sang and played in the church while growing up which helped form his smooth vocal style. He began playing the blues when he was 17 years old. In the early 60's Aaron formed his first band consisting of Aaron Love, Clyde Mcghee, Billy Ray Henry, and Joe Allen Sinks. This group played most of the local haunts. After this band broke up Aaron played drums with the Leon Gambill band. 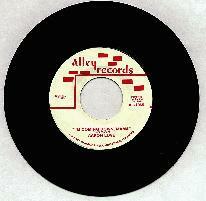 In the early 60's Aaron was discovered by Joe Lee and he began recording at Alley Records. His record "I'm Coming Down Mama" became a regional hit and is a collectors item. In 1991 he began performing again after a long hiatus. 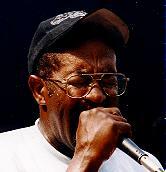 Appearing at the first Blues Fest at Jonesboro, Arkansas he became known as the Jonesboro Blues Man. He appears as part of the Alley Records reunion every year at the festival. Aaron Love has the dynamic range and smooth tones of a gifted vocalist. When Aaron found his way into Alley's studio he took those mellow pipes and added what we call the Aaron growl. You can hear that in the original Alley release of "I'm Coming Down, Mama" and it's flip side "I'm Gonna Love You Baby". Aaron's fans know that he's not only a great vocalist but also one of the best Blues drummers around.